Blue and white never looked so chic! 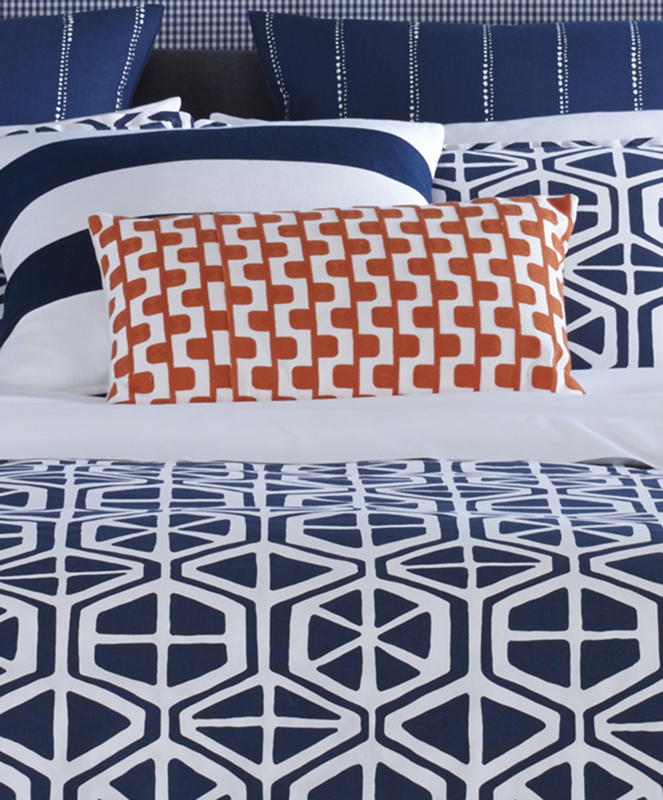 This collection features a striking geometric design with a hint of the nautical elements that Anthony Baratta loves so much. The photo shows an Oversize Queen Meridian Package with the addition of a White Sheet Set. Oversize Queen Duvet - 90"x95"
Oversize/California King Duvet - 96"x110"
For over 30 years, Anthony Baratta has designed jaw-dropping interiors around the world with his ionic, sumptuous, and vibrant use of color and pattern. He has been recognized by Traditional Home Magazine as one of their "20 Design Icons" and was also awarded Benjamin Moore's coveted "Hue Award" for lifetime achievement in design.